Proprietary Name: Cvs Health What is the Proprietary Name? Cvs Health with NDC 69842-728 is a a human over the counter drug product labeled by Cvs Pharmacy. The generic name of Cvs Health is salicylic acid. The product's dosage form is stick and is administered via topical form. Dosage Form: Stick - A dosage form prepared in a relatively long and slender often cylindrical form. FDA Application Number: part358H What is the FDA Application Number? 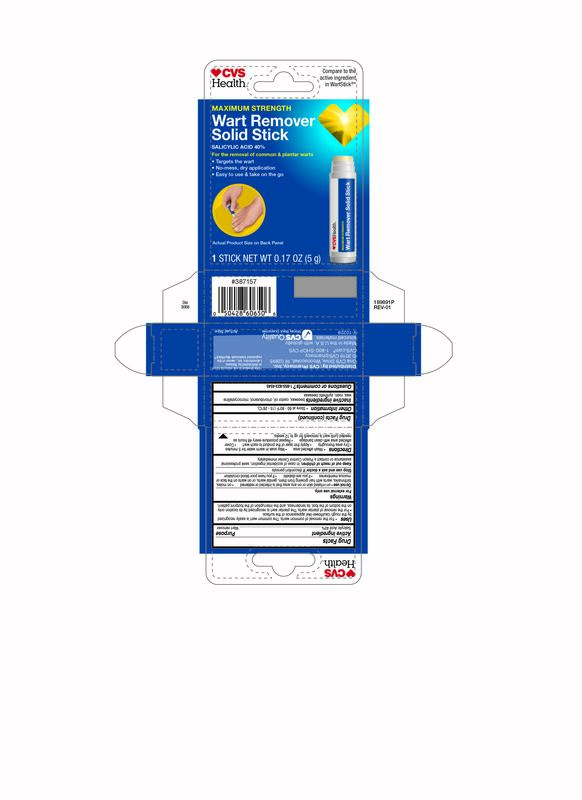 For the removal of common warts. The common wart is easily recognized by the rough ‘cauliflower-like’ appearance of the surface.For the removal of plantar warts. The plantar wart is recognized by its location only on the bottom of the foot, its tenderness, and the interruption of the footprint pattern.